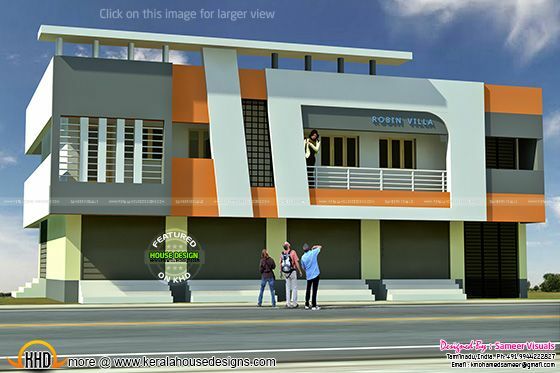 2620 Square feet (243 square meter) (291 square yards) one bedroom house with 5 shops on the ground floor. Designed by Sameer visuals, Tamilnadu, India. Ground floor : 1340 Sq.Ft.